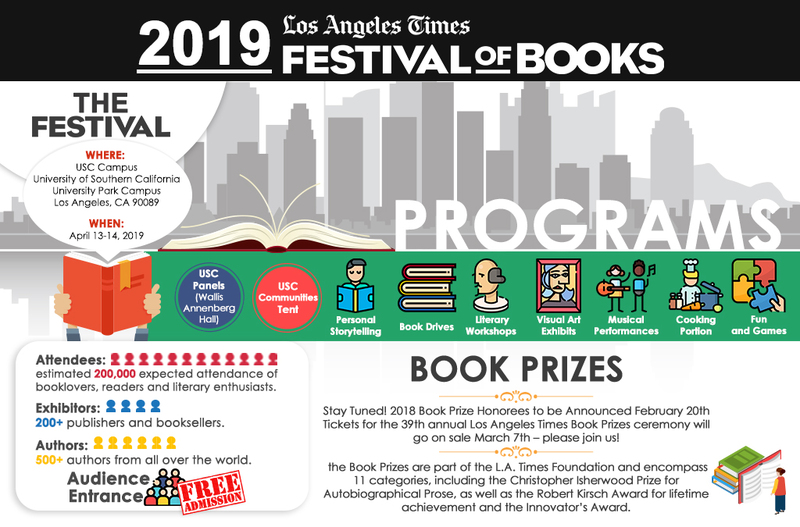 Excitement is brewing as ReadersMagnet is opening the first quarter of the year with four major book fairs including the LA Times Festival of Books 2019. This is the first time that ReadersMagnet will be joining one of the biggest book fairs in the country. ReadersMagnet is a self-publishing company that offers publishing and marketing services to aspiring authors. Established in 2016, ReadersMagnet has already published 87 titles from over 70 authors. The self-publishing company has established partnerships with some of the most reliable institutions in the publishing industry such as The Combined Book Exhibit, Publishers Weekly, and the radio program This Week in America with Ric Bratton, adding more credibility to ReadersMagnet Marketing Services. Throughout its short history, ReadersMagnet has already attended numerous national and international book fairs. Through its partnership with The Combined Book Exhibit (CBE), a respected book promotion and book marketing company, ReadersMagnet was able to showcase its authors around the globe. Last year, ReadersMagnet added a new milestone in its Book Fair Services by joining the Miami Book Fair International for the first time. The team and the participating authors held a three-day book signing event which attracted many visitors and made the event a remarkable success. ReadersMagnet hopes to replicate the success in the upcoming 24th Los Angeles Times Festival of Books. LA Times Festival of Books is the largest book fair in the United States. It is a public event held every year at the University of Southern California. This year, the Festival will take place on April 13-14 and ReadersMagnet will be among the approved exhibitors. This is the first time that ReadersMagnet Self-Publishing will join the LA Times Festival of Books. With the University of Southern California as the event host, there is plenty of room for panel discussions, talks, art exhibits, musical performances, solidarity programs, workshops, games, and the book bazaar itself. Los Angeles Times Festival of Books is known for hosting more than 100 programs each year including medical missions and other outreach programs. This year, ReadersMagnet will showcase more than 70 authors in the upcoming LA Times Book Fair. ReadersMagnet has been consistent in displaying a variety of titles ranging from children’s books, memoirs, thrillers, romance, fiction, and non-fiction. With an estimated crowd of 150,000 people, the Festival is a great opportunity for the self-publishing company to display these unique narratives. Aside from the book displays, freebies, accommodating staff, and of course, their bubbly and energetic authors will greet booth visitors during the two-day Festival. A number of their authors will be going to the Festival to interact with their fans. No book fair is complete without book signing events. ReadersMagnet Self-Publishing consistently sees to it that the book fairs serve as a venue for authors to interact with their readers by setting up book signing tables during the duration of each book fair. Currently, they have 11 authors scheduled for the book signing in the upcoming LA Times Book Fair. The Los Angeles Times Festival of Books is more than just a book fair. It is also a cultural activity participated not only by authors and publishers but mostly by book lovers and the LA community. Now on its 24th year, the Festival promises to be a grand weekend and ReadersMagnet looks forward to showcasing its authors and be a part of this annual momentous occasion. Join ReadersMagnet Self-Publishing and be a witness to this highly anticipated book event. Sign up today! Call them at Office Number: (619) 354 2643 Toll Free Number: (800) 805 0762 Fax Number: (661) 338 1442 or email at info@readersmagnet.com.